If your day has been too stressful, why not take a break and have a KitKat? 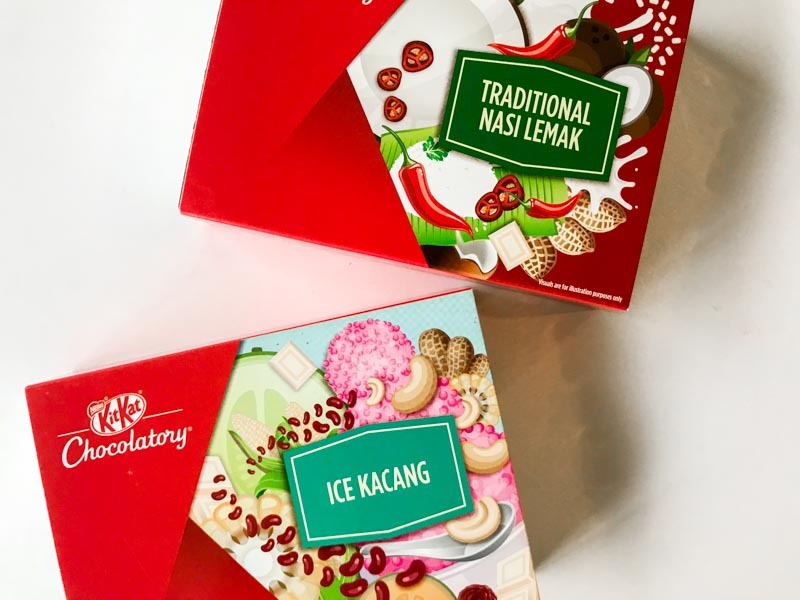 KitKat has now released two different flavours: Ice Kacang and Traditional Nasi Lemak. 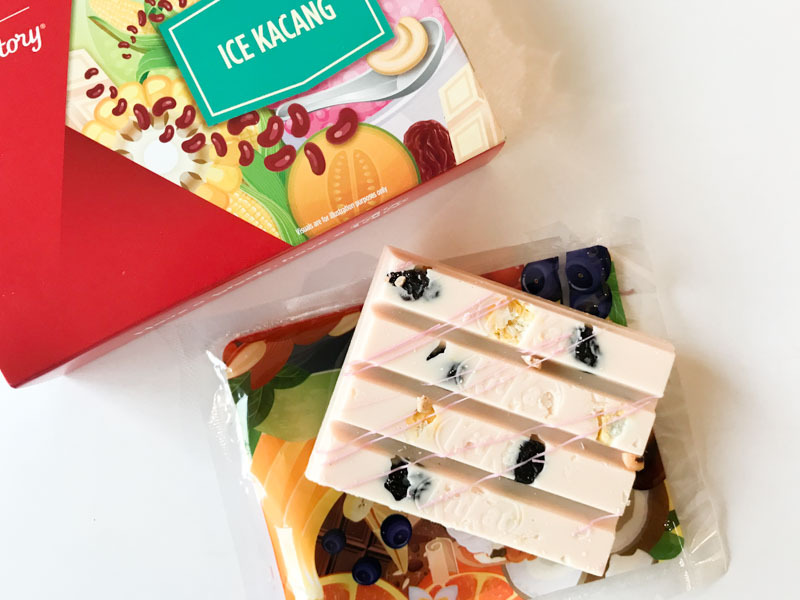 We decided to take a chance with these new chocolate flavours — besides, who doesn’t like ice kacang and nasi lemak? The white chocolate came in the usual bar with four breaks, and contained nuts and raisins. It was a bit sweeter than ordinary KitKat bars, but it was lacking the familiar taste of the dessert. Perhaps, swapping out the raisins for red beans might do the job. The Traditional Nasi Lemak was a mix of sweet and spicy flavours. KitKat used white chocolate as their base, with chilli flakes sprinkled on the top. The heat from the chilli lingers in your mouth for a little while, but it’s more of a subtle tingle rather than a hit. 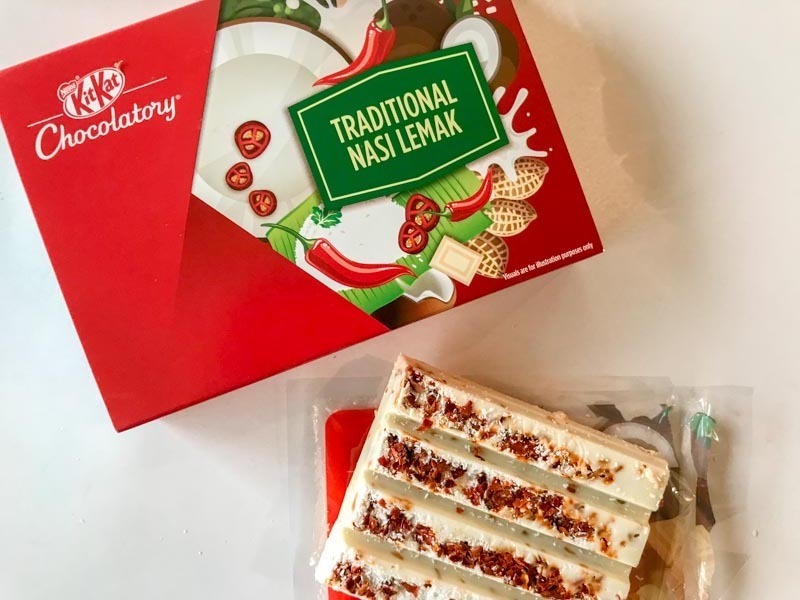 I actually preferred the Traditional Nasi Lemak flavour more because of its interesting taste, even though Ice Kacang would seem like a more conventional flavour pairing. But really, nothing beats the original KitKat wafer bars!